Corinthian Colleges filed for bankruptcy in 2015, and ITT Tech went bankrupt a year later. Together, the two for-profit college companies left more than half a million students and former students in the lurch. Thousands of these victims filed so-called borrower-defense claims with the Department of Education, asking DOE to forgive their student loans on the grounds that they were defrauded. The Obama administration approved regulations for processing these claims, but Betsy DeVos put them on hold. She was concerned, she said, that the Obama rules might give undeserving students "free money." Now DOE has approved a panel of 17 experts to overhaul the Obama regulations. According to a story in Inside Higher Ed, the DeVos Department anticipates the new rules won't go into effect until 2019. Under that timetable, defrauded borrowers won't even have an avenue of relief until four years after Corinthian filed for bankruptcy. Meanwhile, hundreds of thousands of student borrowers who attended one of the Corinthian schools, ITT Tech, and dozens of other dodgy for-profit colleges will be making monthly loan payments for worthless education experiences. Hundreds of thousands of others will put their loans into deferment, which will relieve them from making loan payments but will cause their loan balances to go up due to accruing interest. And thousands more will simply default, which will allow the federal government's sleazy loan collectors to slap on penalties and fees to their loan balances. But DeVos doesn't give a damn about the carnage wreaked by the corrupt for-profit college industry. In fact, she is doing everything she can to prop it up. 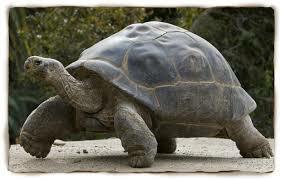 And so, Betsy DeVos, Amway heiress and for-profit co-conspirator, lumbers along like a Galapagos tortoise, oblivious to the misery experienced by millions of student debtors--who are now defaulting at the rate of 3,000 a day. The DeVos Education Department ponders student-loan debt relief. Danielle Douglas-Gabriel. Former ITT Tech students fight for some money in the company's bankruptcy case. Los Angeles Times, January 3, 2016. Andrew Kreighbaum. Education Dept. Borrower-Defense Negotiators. Inside Higher Ed, October 26, 2017. Shahien Nasiripour. Corinthian Colleges files for bankruptcy. Huffington Post, May 5, 2015. 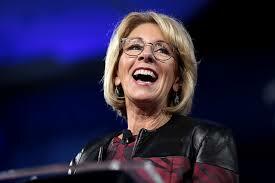 Betsy DeVos sabotages Obama's borrower-defense rule for processing student borrowers' fraud claims: She fears students will get "free money"
The collapse of Corinthian Colleges and ITT Tech shined a light on the seedy for-profit college industry. Both for-profit college companies filed for bankruptcy under a cloud of accusations of fraud and misrepresentation. Together, Corinthian and ITT Tech had more than half a million former students. Thousands of them filed so-called "borrower defense" claims, petitioning the Department of Education to forgive their student loans because they were defrauded by the institutions they attended. About 65,000 borrower-defense claims are now pending. What to do? The Obama Administration prepared borrower-defense regulations that were scheduled to take effect on July 1, 2017; but Secretary of Education Betsy DeVos blocked their implementation, saying the rules would be rewritten through the "negotiated rule making" process. DeVos' decision will allow the for-profit industry a voice in reshaping the rules to their liking. Why did DeVos block the Obama-era regulations? She said the regulations drafted by the Obama administration would allow students to get "free money" by having their loans forgiven. In other words, DeVos apparently assumes students who file fraud victims are themselves engaging in fraud by seeking debt relief. This latest caper from DeVos' Department of Education tells us all we need to know about President Trump's least qualified cabinet appointee . 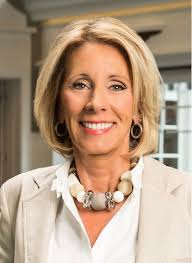 Time and time again, DeVos has made decisions to benefit the for-profit colleges at the expense of students; and she has hired consultants who have worked in that sleazy industry. Millions of people have borrowed money to attend overly expensive for-profit colleges only to receive educational experiences that are virtually worthless. Some were defrauded, some obtained degrees that did not lead to good jobs, and some just paid too much for substandard postsecondary programs. Unless these people obtain relief from their student-loan debt, they will never get on their feet financially. The Obama administration's borrower-defense regulations were drafted to determine which for-profit students are fraud victims entitled to student-loan debt relief. In my mind, however, it is impossible to efficiently decide on a case-by-case basis which student borrowers are entitled to debt relief due to fraud. That would require hundreds of thousands of individual due-process hearings. No, the only way to give worthy student-loan debtors a fresh start is through bankruptcy. Congress must amend the Bankruptcy Code to treat student loans like any other consumer debt. If insolvent student-loan debtors were given reasonable access to bankruptcy, millions of cases would be filed and at least half a trillion dollars in debt would be wiped out. A half trillion dollars in student-loan debt relief would be a big hit to the U.S. treasury, but let's face it. Millions of student loans will never be paid back. It would be far better for the overall national economy if student borrowers were given a fresh start rather than be forced into 20- and 25-year repayment plans in which borrowers make token monthly payments that don't even cover accruing interest. DeVos either doesn't understand the magnitude of the student-loan debt crisis or she doesn't care. Either way, she is a disaster who needs to be cashiered. James Briggs. Former ITT Tech students got promise of help, then silence. USA Today, May 22, 2017. Corinthian Colleges Students Eligible For Loan Discharge. National Bankruptcy Forum, June 22, 2017. Andrew Kreighbaum. Devos: Borrower-Defense Rule Offered 'Free Money'. Inside Higher ED, September 26, 2017. Chad Miller. Understanding 'Borrower Defense to Repayment": A New Yellow Brick Road to Federal Student Loan Forgiveness. American Action Forum, November 1, 2016. Michael Stratford. More Debt Relief for Corinthian Students. Inside Higher Ed, March 28, 2016. Hello, Americans. If you think you got screwed by Obamacare, brace yourselves. There may be more Congressional skulduggery ahead. 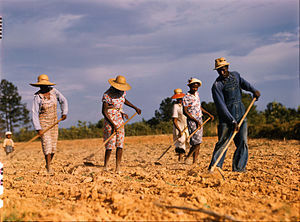 A gang of wooden-headed legislators has conspired to introduce a bill called the SIMPLE Act, which, if passed, will push millions of Americans into becoming sharecroppers for the government for a majority of their working lives. 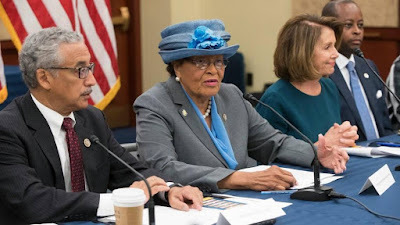 First, the bill authorizes the Internal Revenue Service to automatically recertify the income of student borrowers in income-driven repayment plans (IDRs). Under our bill, the Department of Education would auto-enroll certain borrowers who have missed payments into a lower monthly payment plan in order to reduce administrative burdens and decrease the risk of those borrowers being placed into more expensive plans. Admittedly, the bill has some good features. It makes sense for the IRS to certify the annual income of IDR participants rather than force the borrowers to do it themselves. In fact, the Government Accountability Office noted last year that about half the people in IDRs get kicked out of those plans for failing to certify their income on an annual basis. Second, automatically putting delinquent borrowers in IDRs with lower monthly payments is sensible if the alternative is default. And the bill allows borrowers to opt out of being placed in an IDR. But here's the overarching problem with the SIMPLE Act. The bill assumes the status quo for the federal student loan program, and its only solution for people who are overwhelmed by their student loans is to shove them into twenty- or twenty-five year repayment plans. In other words, the SIMPLE Act is streamlining the process of transforming student borrowers into sharecroppers--bound to pay the government a percentage of their income for the majority of their working lives. And most people in these plans will be making payments so low they won't even be servicing their interest. People in IDRs will see their debt grow larger with each passing year even if they faithfully make payments for a quarter of a century. The SIMPLE Act is not a solution to the student loan crisis. Basically, its a form of accounting fraud that maintains the fiction that people are paying back their student loans when in fact almost everyone in these plans will never pay off their student loans. How will Americans react to being transformed into sharecroppers for Uncle Sam? Not well, I predict. Eventually, student borrowers will rise up in fury. Let's hope they vent their anger at the ballot box and not in destructive acts of desperation. Look on the bright side. We only have to do this for 25 years. Andrew Kreighbaum. Bipartisan Legislation Tackles Student Loan Defaults. Inside Higher ED, August 4, 2017. Press release of Representative Suzanne Bonamici. Bonamici, Costello Introduce Bill to Reduce Student Loan Defaults. September 8, 2016. From 2007 to 2012, Sarah Dieffenbacher attended Everest College-Ontario Metro, a for-profit college located in Ontario, California. She took out $50,000 in federal student loans to fund her studies. In March 2015, Dieffenbacher filed a "borrower defense" application with the U.S. Department of Education, petitioning to have her loans cancelled on the grounds that Everest had engaged in fraudulent conduct in violation of California law. In August 2015, Dieffenbacher defaulted on her loans. Educational Credit Management Corporation, her loan servicer, sent her a notice stating that it intended to begin garnishing her wages. Dieffenbacher filed a timely objection and a request for a hearing. This objection consisted of a 29-page letter accompanied by 254 pages of exhibits. These exhibits included Diefenbacher's sworn statement and records from the California Attorney General's Office showing documented misconduct by Everest and its parent company, Corinthian Colleges. On January 20, 2017, Dieffenbacher's attorney received a letter from the Department of Education stating that DOE was denying Dieffenbacher's objection to having her wages garnished. DOE said its decision was conclusive and that Dieffenbacher's only recourse was to file a lawsuit in federal court. This Dieffenbacher did. In her lawsuit, Dieffenbacher claimed that DOE's decision was arbitrary and capricious and violated the Administrative Procedure Act. Without admitting fault, DOE filed a motion to remand Dieffenbacher's case back to the Department so that its decision could be "reconsidered and re-issued in a way that would not be arbitrary, capricious, or contrary to law." Last week, Judge Virginia Phillips, a California federal judge, denied DOE's request for a voluntary remand. In Judge Phillips' view, the Department "[had] not established a substantial or legitimate concern guiding its request for a remand." The judge pointed out that Dieffenbacher's application for loan forgiveness had been pending for more than two years and that the Department had made contradictory arguments about what it intended to do. Indeed, Judge Phillips' suggested that the Department of Education was attempting to get Dieffenbacher out of court so that it could garnish her wages. "The Department's request for remand appears to be an attempt to evade judicial review so that it can retain the ability to garnish [Dieffenbacher's] wages without a conclusive ruling as to the enforceability of her loans," the judge observed. "Under such circumstances, the remand request appears both frivolous and in bad faith" [emphasis supplied]. Judge Phillips concluded her opinion by ordering DOE to rule on Dieffenbacher's loan cancellation application within 90 days. If the Department fails to comply, the judge added, she would proceed to hear Dieffenbacher's claims on the merits. The Dieffenbacher case is the latest example of the Department of Education's efforts to avoid dealing with student borrowers' legitimate applications for loan forgiveness. In the Price case, which I wrote about recently, DOE took six years to rule on a University of Phoenix graduate's application for loan forgiveness based on her claim that Phoenix falsely certified that she had a high school diploma when she began her studies. Ultimately, DOE disallowed the claim. A federal court in Texas countermanded DOE's ruling and discharged the debt. Last January, DOE sent a letter to 23,000 former students at Corinthian Colleges, assuring them that their loans had been approved for cancellation and that the loans would be forgiven within the next 60 to 120 days. Almost six months later, DOE has not kept its promise, which prompted a protest letter from 19 states' attorneys general. I think Betsy DeVos's DOE pencil pushers have added up the costs associated with discharging students loans under DOE's own rules and regulations and have found those costs to be enormous. DOE is trying to put the brakes on its administrative loan forgiveness process. The Department announced this week that it is rewriting the "borrow defense" regulations that Dieffenbacher relied on. BUT IT IS TOO LATE. DeVos's efforts to slow down the loan forgiveness process will not withstand scrutiny in the federal courts, as the Price case and the Dieffenbacher case demonstrate. The Consumer Financial Protection Bureau said in a recent report that eight million student borrowers are in default, with nearly 1.1 million defaulting in 2016 alone. 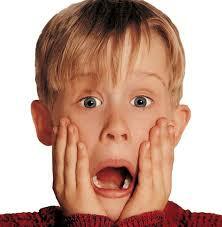 As CFPB pointed out, people are defaulting at the rate of 2 borrowers every minute! Two things must be done to bring the federal student loan program under control. First, the federal government must stop sending student aid dollars to for-profit colleges, which have shockingly high student-loan default rates. Second, Congress must amend the Bankruptcy Code to allow distressed student borrowers to discharge their student loans in bankruptcy like any other unsecured consumer debt. But Betsy DeVos's Department of Education refuses to face reality while it stalls for time. In the end, this approach is going to enrage millions of student borrowers. These borrowers are also voters, and they will vote for any politician who promises real debt relief to the legions of student borrowers who will never pay back their loans. Dieffenbacher v. U.S. Dep't of Educ., ED CV 17-342-VAP (KK) (C.D. Cal. June 9, 2017). Seth Frotman & Rich Williams. New data documents a disturbing cycle of defaults for struggling student loan borrowers. Consumer Financial Protection Bureau, May 15, 2017. Andrew Kreighbaum. Court Orders Education Department to End Delay in Ruling on Loan Discharge. Inside Higher ED, June 9, 2017. Andrew Kreighbaum. Education Department to hit pause on two primary Obama regulations aimed at for-profits. Inside Higher ED, June 15, 2017. Andrew Kreighbaum. State AGs Want Action on Student Loan Discharge. Inside Higher Ed, June 6, 2017. Lisa Madigan, Illinois Attorney General. Letter to Betsy DeVos, US. Secretary of Education, June 5, 2017. Yesterday, nineteen state attorneys general and the Director of the Hawaii Office of Consumer Protection delivered a letter to Betsy DeVos, U.S. Education Secretary, urging the Department of Education to quickly process fraud claims brought by former students of Corinthian Colleges. The state AGs asked DeVos to approve "swift automatic group discharge" to students in Corinthian cohorts where fraud has been found. Alternatively, the AGs asked DeVos to process individual fraud claims faster. Corinthian Colleges closed and filed for bankruptcy in 2015, leaving behind more than 350,000 former students who took out loans to pay Corinthian's tuition. Many of these student borrowers were induced to attend Corinthian through fraud, and the nineteen AGs claim there are defrauded Corinthian students in all 50 states. So far, DOE has discharged 27,000 borrowers from their federal loan debt, but that number is a small fraction of the former students who are entitled to debt relief. Thousands have filed "borrower defense" claims, asking DOE for loan forgiveness, but DOE is not processing these claims quickly. Meanwhile, many Corinthians students are still paying on their loans or defaulted and are subject to having their wages garnished and their credit ruined. According to the state AGs, DOE notified 23,000 Corinthian student borrowers in January that their loan forgiveness applications had been approved and that "forgiveness should be completed within the next 60-120 days." It's been nearly 180 days since that announcement, and these loans have still not been discharged. 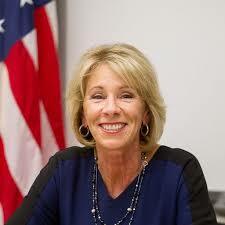 I think the Department of Education is simply overwhelmed by the meltdown of the student loan program. Almost half the people in a recent cohort of students who attended for-profit colleges defaulted within five years. According to a recent article in the Wall Street Journal, half the students who attended more than 1,000 colleges and schools have not paid down one dime of their student loans seven years after their repayment obligations began. In addition, the first beneficiaries of the Public Service Loan Forgiveness Program will be eligible for debt relief before the end of this year, and DOE has no idea how many people are eligible to have their loans discharged under that program. Personally, I think Secretary DeVos should adopt the AGs' suggestion and grant swift automatic group discharges to all Corinthian students who were in DOE's "Designated Fraud Cohorts." Or better yet, I think DOE should forgive the loans of all 350,000 former students. Admittedly, there are probably some people who completed a Corinthian program and actually got a good job, but I'll bet there aren't many. Undoubtedly, the default rate for Corinthian students is extraordinarily high largely due to the fact that Corinthian's students did not get well-paying jobs at the conclusion of their studies. I recognize there are risks associated with a mass loan forgiveness program. If all 300,000 of Corinthian's former students are granted a discharge, then ITT Tech's former students will ask for blanket loan forgiveness. ITT Tech also closed and filed for bankruptcy, and it has 200,000 former students. It is shocking to contemplate, but millions of Americans will never pay back their student loans. In addition to the for-profit college students, there are the law graduates who accumulated mountains of debt and can't find law jobs. And then there are the poor saps who got liberal arts degrees from expensive liberal arts colleges; many of them will never pay back their loans. The 19 state AGs are right to urge Secretary DeVos to grant automatic group discharges for thousands of former Corinthian students. But Corinthian Colleges is the tip of the iceberg. Millions of student borrowers will never pay back their loans, and the ultimate loss to taxpayers will be in the billions. Tamar Lewin. Government to Forgive Student Loans at Corinthian. New York Times, June 9, 2015, p. A11. When Betsy DeVos takes over as the new Secretary of Education next year, she will inherit one huge headache--thousands of pending applications for loan forgiveness from students who claim they were defrauded by various for-profit universities. As Andrew Kreighbaum explained in a recent article for Inside Higher Ed, the Department of Education had received 80,000 loan discharge applications as of last October; and the total number has likely grown to at least 100,000. So far, DOE has approved 15,694 applications for discharge from students who attended three campuses owned by the now defunct Corinthian Colleges system, but many more of Corinthian's former students are surely eligible for loan forgiveness based on fraud claims. After all, Corinthian has 350,000 former students. And there are hundreds of other student borrowers who may file loan-forgiveness applications: students from ITT Tech Services, Globe University, Minnesota School of Business, and several more for-profits that closed after being accused of wrongdoing. DOE has been extremely slow to process borrower defense applications; I know one young woman who filed her application in August based on a claim she was defrauded by DeVry University. She has yet to receive a response from DOE. 1. Tax consequences. First, all former for-profit student who have their student loans forgiven will have a one-time tax liability because the amount of their forgiven loans is considered taxable income by the IRS. 2. Forfeiture of college credits. Under the current debt-relief program, students whose student loans are forgiven due to fraud will forfeit any credits they received from the institution they attended. 3. Insufficient DOE resources. Third, the Department of Education simply doesn't have the resources to process thousands of loan forgiveness claims in a timely manner, not to mention the thousands of new claims that will inevitably be filed as more for-profit colleges close their doors. Fortunately, there is a solution to these problems; it's called the bankruptcy courts. First, debtors whose student loans are discharged in bankruptcy will not suffer tax consequences for a forgiven loan because under current IRS rules forgiven debts are not taxable to an individual who is insolvent at the time the loan is forgiven. Second, a student debtor who discharges student loans from a for--profit college through the bankruptcy process will not forfeit credits or degrees conferred by the college. Finally, the bankruptcy courts clearly have the resources to process hundreds of thousands of bankruptcy petitions filed by distressed student-loan debtors. Filing an individual Chapter 7 action is relatively simple and does not require a lawyer. Bankruptcy petitions could be routinely resolved in the bankruptcy courts, which have the expertise to weed out fraudulent or unworthy claims. Critics might argue that my proposal is unworkable because anyone seeking to discharge student loans in bankruptcy must meet the "undue hardship" standard, a very difficult standard to meet. But there is a solution for that challenge as well. All DOE needs to do to ease the path to bankruptcy relief for insolvent student-loan debtors with fraud claims is to write an official letter expressing its view that every insolvent debtor who attended a for-profit college that has been found to have acted fraudulently meets the undue hardship standard. In essence, such a letter would be a a revision of DOE's letter issued on July 7, 2015, giving the Department's interpretation of the "undue hardship" rule. In all likelihood, the bankruptcy courts would defer to DOE's revised interpretation of "undue hardship" and begin discharging student loans routinely. Of course, DOE would also need to direct the various student-loan guaranty agencies to stop opposing bankruptcy relief for any insolvent debtor with a fraud claim against a for-profit college. Easing the path to bankruptcy relief for distressed debtors who took out student loans to attend dodgy for-profit colleges will cost taxpayers billions. But most of the people who took out these loans will never pay the money back anyway. Almost 50 percent of the people who took out loans to attend for--profit colleges default on those loans within five years. Others enter into income-driven repayment plans that lower monthly payments, but according to the Government Accountability Office, about half the people who begin these plans are kicked out for failing to verifying their income on an annual basis. So let's begin cleaning up the mess our government created when it began shoveling federal student-aid money to the rapacious for-profit college industry. Let's shut these colleges down and wipe out the student-loan debt accumulated by millions of victims of massive fraud. Incoming Secretary of Education Betsy DeVos will have the authority to grant relief to these victims by easing the path toward bankruptcy. Let's hope this is what she does. Andrew Kreighbaum. Activists and borrowers call on Obama administration to provide debt relief to defrauded students. Inside Higher Ed, December 14, 2016. Eric Rosenberg.You Need to Know How Student Loan Forgiveness Is Taxed. Studentloanhero.com, July 18, 2016.